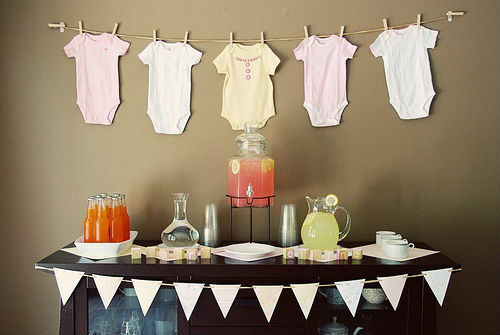 For us, the best baby shower ideas, are the easiest! 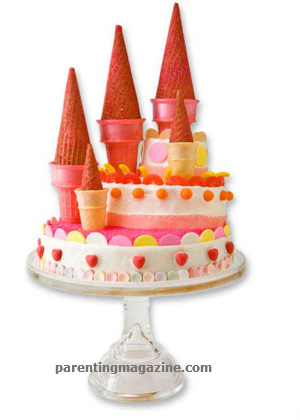 Throw an amazing party mom-to-be, won’t forget. 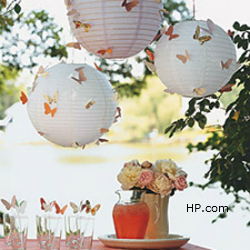 Simple and beautiful compliment one another with these paper lanterns and butterfly’s. You can achieve a similar look with, paper pom-poms (really popular at the moment) covered with sweet honey-bee’s, elegant lady bug’s, daisy’s, or pretty little bird’s. 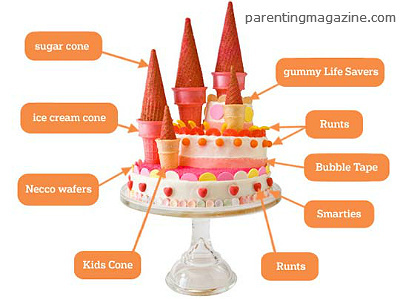 If the shower is for a little baby boy; use old fashioned airplanes, hot air balloons, helicopters, or cute garden bugs. This is a cool idea from: DomesticCharm.com, use a funnel to pour glitter into latex balloons (before they’re inflated of course)! 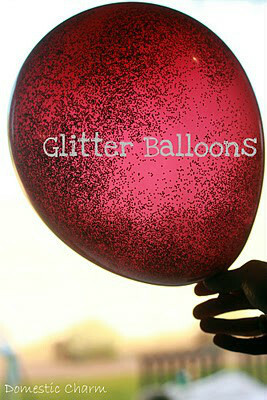 Use helium or an air pump to inflate balloons; this will eliminate the risk of, inhaling any glitter. We love this shop! They have tons of unique gifts and baby shower supplies. You can shop for the right mint and candy tins, favor boxes/bags, personalized labels, and the ever, popular- striped, paper straws! Read more about beau-coup and other recommended shops. This is a very cool site for all you bath and body crafters! 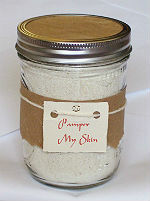 They have raw ingredients, recipes & DIY tips for: soaps, candles, lip gloss, bath soaks, and more. The supplies are amazing; you can get gift boxes, bags, or any kind of plastic container you need… and its all, at wholesale price, with no minimum to order. Best of all, they provide great instructions on their website! Make your own baby shower favors, game prizes, and even a gift for the new mom. Baby Onesie Heavy Duty Mold for cold process & melt & pour soap. Molds can tolerate temperatures of 160 degrees F. Above these temperatures, warping may occur. Top rack dishwasher safe. 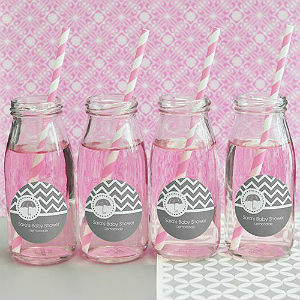 A sweet idea…Simple gifts to pamper your baby shower guests. 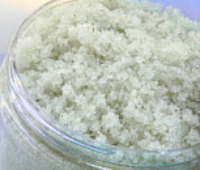 Give these homemade sugar scrubs as party favors, or as game prizes. 1. Experiment with small batches and try them out before you invest too much energy turning the scrubs into gifts. I think you’ll love them though. 2. The scrubs are really cute in little glass jars- HOWEVER, I’m not a big fan of glass in the shower, for obvious reasons. You may want to use a nice little plastic or shatter proof container instead…or advise your guests to transfer their scrubs to a plastic bag, e.c.t, before they take it in the shower. CAREFUL! Surface of shower will become very slippery from oils in this scrub. 10-12 drops of essential oil (Lavender, Cherry Bark, Rosewater or Thyme are some of my faves). Mix sugar and oil until sugar is moist. Add essential oil until you are satisfied with the scent and consistency of the scrub. Plastic baby bottle favors. Attach a label to a piece of string or ribbon and tie it around the neck of the bottle. 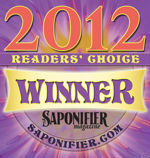 Check out your local craft store, dollar store or drug store. If you have trouble finding matching containers, just mix and match. It’s okay if the shapes and/or colors vary, but they should be close in size. TIP: Look for plastic, 4 ounce baby bottles at the dollar store. They’re a really cute way to package your homemade scrub!